Second "We Challenge You" now online! Visit PortableRadio.ca to see our latest "We Challenge You". Find more audio and video shows at www.PortableRadio.ca. This week we have been working on developing personalized workouts for each other. It took a couple of drafts to figure out the best way to do this. Today we tried them out in the gym. I was very impressed with how the "personal trainers" encouraged and helped their "athletes". Well done everyone! FACTS ABOUT THE ENGLISH CHANNEL TUNNEL: The English Channel tunnel, which connects England to France, is about 50 kilometres long. It took 13 000 workers six years to build it. It takes about 35 minutes to drive through the tunnel. Mrs. Simpson, Miss Williams and Class 11 from Hopwood C P School, England recently asked us a few questions. They also wrote about us on their blog. Click here to see that. Do you have a sledging or snowboarding club too? We have a snowboarding club. It is part of our ski club. There are more student skiers than snowboarders. We don’t have a sledging club. Here in Canada we call it tobogganing (even though most of us use plastic sleds or crazy carpets instead of traditional tobaggans). We go to nearby hills with friends and family. Did anyone famous for skiing or snowboarding go to your school? No we don’t have anyone famous. But, Mr. Toft would like to think he is famous for skiing. But, he definitely is not! Maybe infamous. Just kidding! How high do you go when you go skiing? At Mount Pakenham, where our ski club goes, the height is 223 metres. Jamie would like to know how deep the snow is when it falls. We just had our first snow storm of the season. There was about 25 cm of snow that fell in one day. School buses were cancelled that day but the schools remained open. According to our quick research Ottawa gets an average 150 cm to 225 cm of snow each year. It changes from year to year, of course. Daniel plays on our football and athletics teams and wants to know if you have teams for these too and what other sports you do. At our school, we have soccer, bordenball, basketball, volleyball, cross country, track and field. How far away is your school from ours? We came up with 5 150 kilometres or 3 194 miles. What did your class come up with? FUN FACT: koalas eat plants that are poisonous for humans! Thanks, Yonathan, for suggesting today's fact! It's official: today was the first snow day of the school. Congratulations to the thirteen hearty students who braved the elements to come in. I think you will agree you had a full day! After drama with Mrs. Tinley, we planned and recorded our latest "We Challenge You" segment. I hope to get that online in the coming days. After French with Mme Hoffman, Ms. Lee, was our guest teacher for the afternoon. She read "Just Desserts" from the Chronicles of Harris Burdick. Everyone finished the day off working on their Social Studies projects and playing Yahtzee. The weather forecast for tomorrow is calling for a lot of snow. Please listen to local radio or TV stations to see if the buses are still running. You can also follow @OttSchoolBus on Twitter for updates. It took two months, but we finished The Mysterious Benedict Society by Trenton Lee Stewart. If you want to figure out Mr. Benedict's first name, use the Morse code on the back cover. 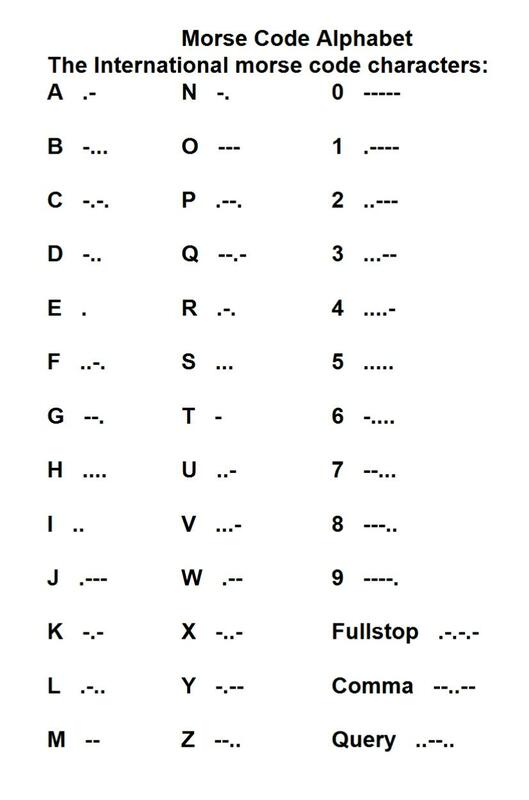 You can find a copy of the Morse Code Alphabet by clicking here. Find more puzzles and learn more about the Mysterious Benedict Society series here. How far away is Hopwood C P School? I've put a link to your blog on our page too, some of the children were trying to guess how far away your school was from ours, have your students got any guesses? Have a good weekend, we look forward to hearing from you again.